You are Guaranteed to have the Summer of your Life, every Day & Night! The charismatic day & night life of Albufeira is back again to celebrate a New Year and a brand New Summer! Have you been longing for the days when fatigue becomes vitality and happiness? Albufeira has been preparing for a whole year to bring you just the right events; the right people, the right heats & beats. Everything is now ready to boost your energy and health levels! 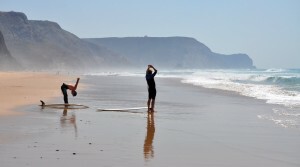 The Albufeira season is on and running! For starters: from west to east, the spotlessly clean beaches of Salgados, Galé, Castelo, Pescadores, Santa Eulália, Falésia… just to name a few! When daylight is fading, the Albufeira beaches invite you to enjoy a drink of wine or a cocktail by the sea, watching the world go by, while the sun melts into the ocean horizon right in front of you. It’s dinner o’clock. Albufeira offers a wide range of first-class dining options with glorious menus. Here are some of the best restaurants: Vila Joya, Alísios, Ocean or Grande Real Santa Eulália. The day is ending… Or is it just beginning? Welcome to the over-the-top night and sunset beach parties & events. Every night is a different theme, from karaoke and live music clubs to dance bars or Irish pubs. The Oura Avenue has all the makings of a wonderful, fun and modern lifestyle. The choice is endless, to ensure you have the summer nights and memories of your life.